How much weed can Washingtonians smoke? 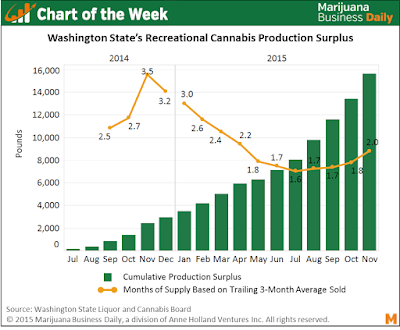 regarding the amount of cannabis being produced compared to the amount being consumed in Washington state. I thought it was interesting that the recreational growers were often growing too much. Either more consumers need to materialize, consumption habits among current users need to change, or something. Maybe if Washington tourism statistics change. People in the article seem to suggest that Washingtonians are not consuming as much marijuana as growers want because growers are growing low-quality marijuana.